‘The Rescue’ is a brief but important two-part story for Doctor Who, representing the first time that a new companion has joined the TARDIS since the premiere and continuing the gradual shift of the Doctor from the terse curmudgeon to the more compassionate hero he would eventually truly become. For a story directly following ‘The Dalek Invasion of Earth,’ ‘The Rescue’ wisely does not ignore the fact that Susan has just departed. While Susan is only directly referenced once as the Doctor slips and calls Barbara by her name instead, it’s clear that her presence has not been forgotten by anyone. Both Barbara and Ian seem to be perfectly understanding of this personal crisis of the Doctor’s as well, giving him space as he opts to be alone to get used to the emptier TARDIS. Yet he is incredibly open and warm to Vicki, sympathizing with her plight on the planet’s surface and actively inviting her to join him on his travels. Whether driven by the emptiness he is experiencing by not having Susan around or not, these interactions are some of the most human that the Doctor has yet shown and continue his mellowing into a more affable and supportive character. Despite confronting genocide, ‘The Rescue’ seems like a much more intimate affair since the Doctor is dealing solely with the distress of one person rather than an entire civilization under duress. It’s clear that Vicki is brought in to fill the void that Susan’s departure left, and she serves as another sort of anchor for the Doctor right from the start as she effortlessly ingratiates herself to Ian and Barbara. While the Doctor has clearly come to accept Ian and Barbara, even sharing jokes about their past experiences, he is instantly quite supportive and protective of Vicki, yet another indication that his sense of compassion is expanding and that he is not solely out for his own self-interest. At the same time, his willingness to accept his own limitations and to commend others for their actions both further cement the more well-rounded and likable character he is becoming compared to the early episodes. Perhaps the biggest shift, however, is the means by which Vicki joins the TARDIS. Whereas Ian and Barbara were trapped after forcing their way aboard, the Doctor goes out of his way to sell the TARDIS as a wondrous experience, actively recruiting Vicki to join. ‘The Rescue’ moves along briskly due to David Whittaker’s script and Christopher Barry’s direction, but the unquestioned highlight is Hartnell’s subdued but furious reaction to Bennett’s attempted genocide. This conflict resonates even more because Bennett is simply an ordinary man rather than an alien or other strange creature, touching upon the dark depths that humanity can reach. 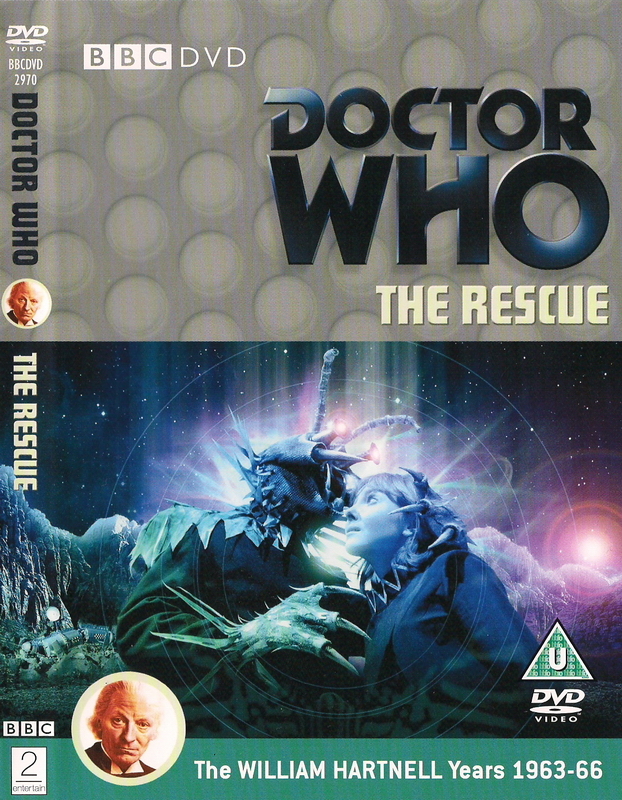 The entire episode plays with and subverts expectations wonderfully and, while ‘The Rescue’ may not be remembered as an all-time classic, it certainly manages to succeed an incredible amount in a very short timeframe, giving a tight story that changes the dynamics of both the Doctor and the TARDIS crew.